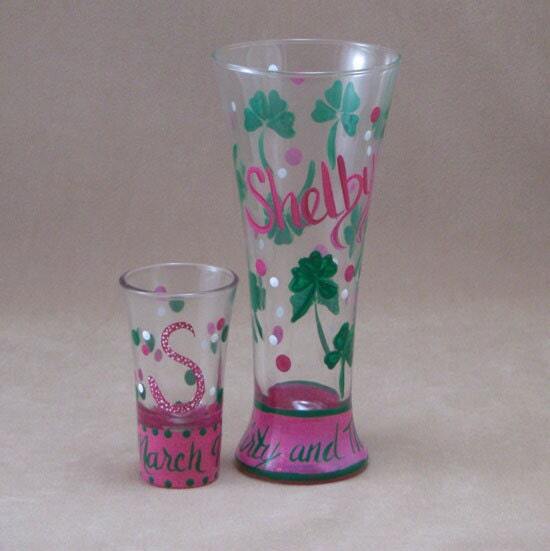 We just painted these yesterday as a thirtieth birthday gift for Shelby. 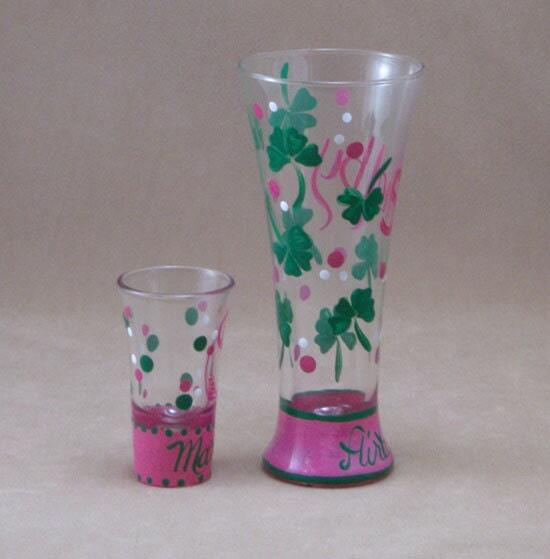 These hand painted pilsner and shot glasses are both painted in the same colors with different patterns and we think they're wonderful! A great gift for St Patrick's Day.